The ante has now been raised with "Deadwing," an album that was influenced by a screenplay that Steve Wilson had worked on with Mike Bennion. The album, though, is not a soundtrack to the film - all the songs stand on their own, from long pieces to songs that would work well on alternative radio. Fans of progressive, metal, or alternative would do well to add "Deadwing" to their CD collection. 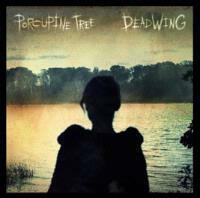 Porcupine Tree is a band that has a lot going for it, and "Deadwing" is the proof. In case you had thoughts of putting this CD on and letting it waft in the background, well, you can get by with that for about the first sixty seconds. The band then kicks in with a vengeance. All the elements work - Wilson's power chords, the driving rhythm of bassist Colin Edwin and drummer Gavin Harrison, and Richard Barbieri may pull off the coup de grace with his descending keyboard lines. Parts of the song have an Zeppelin-esque feel to it, and Adrian Belew even gets a guitar solo in. His style is so in step with what the band is doing that the listener wouldn't know who is playing the solo. There is a part in the song where the band pulls back on the rush just to let the listener catch his breath, and Edwin gets a few Entwistle-like bass lines before Belew's solo. At 9:46, this track does an excellent job of drawing the listener in and setting the stage for the rest of the album. The first single from this album, "Shallow" contains some heavy-hitting guitar in the chorus to keep the metal-heads more than happy. The song follows a standard verse-pre-verse-chorus format, but the hooks keep this song far from the mundane. In an about-face, the band focuses more on the vocal arrangement on this gentle ballad. Barbieri's keyboard work anchors this piece. This shows that the group isn't afraid to put their own stamp on a more conventional song style. Bassist Edwin lays down some funky bass lines to start off "Halo." The lyrics have a bit of a rap style in their meter ("God is freedom and God is truth / God is power and God is proof"), though it's a bit hard to hear through the distorted vocals. Adrian Belew makes his second appearance in this album with one of the busier guitar solos he's come up with in recent memory. After a rather ambient intro, an acoustic guitar plays the main riff as Wilson's vocals come in. The echo effects on the second verse are haunting effectively. Harrison lays off the drums through the first chorus which gives the harmonized vocals a chance to shine. The middle section goes into a heavier mode, and when the band goes back to the two-chord chorus structure, the song is at its hardest-rocking. There is another respite as Wilson gets off an understated solo, then after a final verse, the band finishes with a tastefully short coda over the verse structure. This song, at 12:02, gets a lot of chance to breathe and doesn't seem as long as it really is. After the drive of "Arriving Somewhere..." the band smartly places this languid piece as the follow-up. This is reminiscent of some of the softer early Pink Floyd pieces with its gentle arrangement, but the vocal arrangements are more complex than anything Floyd ever came up with. Then, at 4:33, the hammer falls, but the band finds a comfortable middle ground between the gentle and heavy. The verses have a real punch with the guitar riff, but the chorus has an elaborate vocal arrangement reminiscent of latter-day Spock's Beard. The song, though, finishes out with a gentle acoustic passage. And the middle and end of something complicated - the verses are in 9, the chorus in 5, but the Edwin / Harrison rhythm section does an excellent job of making the song sound more conventional than it is. 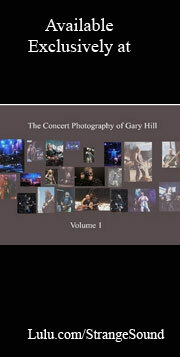 Barbieri's keyboards in the middle instrumental section serve as an excellent counterbalance to the fuzz-guitar solo. This is another rather lengthy song that doesn't feel as long as its 7:39 length. This is a slow, dreamy track, again reminiscent of Pink Floyd in its sense of drifting on the waves, and the lyrics are almost Zen-like in their minimalism. The chord pattern in the end section is unmistakably Steve Wilson, however. A bonus track, this rework comes from 2000's "Lightbulb Sun" album, and the time seems to be right for this song to see the light of day again. The infectious chorus with its excellent vocal work is reason enough to re-record this track.